"Memphis" redirects here. For the ancient Egyptian city, see Memphis, Egypt. 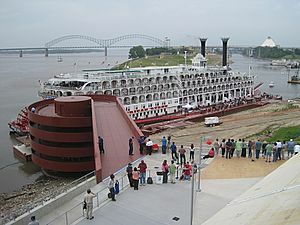 Occupying a substantial bluff rising from the Mississippi River, the site of Memphis has been a natural location for human settlement by varying cultures over thousands of years. would encounter the Chickasaw in that area, in the 16th century. J.D.L. Holmes, writing in Hudson's Four Centuries of Southern Indians, notes that there was a third strategic point in the late 18th century through which European powers could control American encroachment and their interference with Indian matters—after Fort Nogales (present day Vicksburg) and Fort Confederación (present day Epes, Alabama): "...Chickasaw Bluffs, located on the Mississippi River at the present day location of Memphis. Spain and the United States vied for control of this site, which was a favorite of the Chickasaws." In 1795 the Spanish Governor-General of Louisiana, de Carondelet sent his Lieutenant Governor, Manuel Gayoso de Lemos, to negotiate and secure consent from local Chickasaw inhabitants so that a Spanish fort could be erected; Fort San Fernando de las Barrancas was the result. Holmes goes on to note that the consent was reached despite opposition from "disappointed Americans and a pro-American faction of the Chickasaws", when the "pro-Spanish faction signed the Chickasaw Bluffs Cession and Spain provided the Chickasaws with a trading post…". [T]he Treaty of San Lorenzo or Pinckney's Treaty of 1795 [implemented in March 1797], [had as its result that] all of the careful, diplomatic work by Spanish officials in Louisiana and West Florida, which has succeeded for a decade in controlling the Indians [e.g., the Choctaws], was undone. The United States gained the right to navigate the Mississippi River and won control over the Yazoo Strip north of the thirty-first parallel. In Memphis, unlike disturbances in some other cities, ex-Confederate veterans were generally not part of the attacks against blacks. 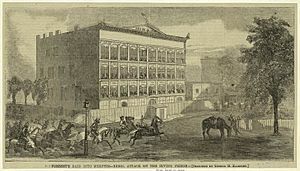 The outrages of the riot in Memphis and a similar one in New Orleans in September (the latter did include Confederate veterans) resulted in support in the North for Congress to pass the Reconstruction Act and the Fourteenth Amendment. In the 1870s, a series of yellow fever epidemics devastated Memphis, with the disease being carried by river passengers along the waterways. During the Yellow Fever Epidemic of 1878 in Memphis, Tennessee, more than 5000 people were listed in the official register of deaths between July 26 and November 27. The vast majority of them died of yellow fever, making the epidemic in the city of 40,000 people one of the most traumatic and severe in urban United States' history. Within four days of the Memphis Board of Health's declaration of a yellow fever outbreak, 20,000 residents had fled the city. The panic ensuing left the poverty-stricken, the working classes, and the African American community at the disposal of the epidemic. Those who remained in Memphis relied on volunteers from religious and physician organizations to tend to the sick. 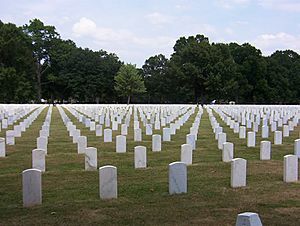 By the end of the year, more than 5,000 were confirmed dead in Memphis. The New Orleans health board listed "not less than 4,600" dead. The Mississippi Valley experienced 120,000 cases of yellow fever, with 20,000 deaths. The $15 million in losses caused by the epidemic bankrupted the city of Memphis, and as a result their charter was revoked. 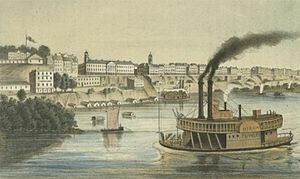 By 1870, Memphis's population of 40,000 was almost double that of Nashville and Atlanta, ranking it second only to New Orleans as the largest city in the South. The population of Memphis continued to grow after 1870, even when the panic of 1873 hit the US, particularly the South, very hard. The panic of 1873 allowed Memphis's underclasses to swell amidst the poverty and hardship the panic wrought, giving further credence to Memphis being a rough, shiftless city. Also, Memphis had a reputation for being a dirty city leading up to outbreak in 1878. Two yellow fever epidemics, cholera and malaria had given Memphis a reputation as a sickly city and a filthy one. It was unheard of for a city with a population as large as the one in Memphis to have no waterworks—the city still relied entirely on the river and rain cisterns to collect water, and there was no way to remove sewage. The combination of a swelling population, especially of lower and working classes, and the abysmal health and sanitary conditions of Memphis made the city ripe for a serious epidemic. The first case to go on record for the public was when Mrs. Kate Bionda, an owner of an Italian "snack house", died of the fever on August 13. Hers was officially reported by the Board of Health, on August 14, as the first case of yellow fever in the city. A massive panic ensued. 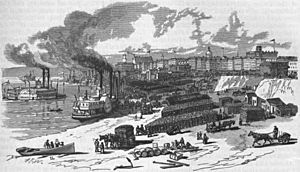 The same trains and steamboats that brought thousands into Memphis now carried away over 25,000 Memphians, more than half of the population, in a span of five days. On August 23, the Board of Health finally declared a yellow fever epidemic in Memphis, and the city collapsed, hemorrhaging its population. In July of that year, the city boasted a population of 47,000. By September, 19,000 remained and 17,000 of them had yellow fever. The only people left in the city were the lower classes, like the German and Irish immigrant workers, and African Americans. Neither of these two groups had the capacity to flee the city like the middle and upper class whites of Memphis, and thus they were subjected to a city of death. Immediately following the Board of Health's declaration, a Citizen's Relief Committee was formed by Charles G. Fisher, and proceeded to organize the city into refugee camps. The committee's main priority was separating the poor from the city and isolating them into refugee camps. Also, the Howard Association, formed specifically for yellow fever epidemics in New Orleans and Memphis, organized nurses and doctors within Memphis and throughout the country in response to the outbreak. 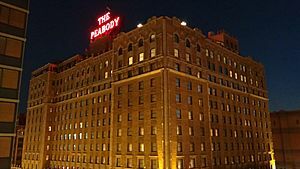 They stayed at the Peabody Hotel, the only hotel to keep its doors open during the epidemic (Crosby 60), and from there were assigned to their respective infected districts. Physicians of the epidemic reported seeing as many as 100 to 150 patients daily. The sisters of St. Mary's Hospital played an important role during the epidemic caring for the lower classes. Already home to a girls' school and church orphanage, the sisters of St. Mary's also sought to provide care for the Canfield Asylum, a home for black children. Each day, the sisters alternated caring for the orphans at St. Mary's, delivering children to the Canfield Asylum and taking soup and medicine on house calls to patients. Between September 9 and October 4, Sister Constance and three other Sisters fell victim to the epidemic themselves. They later became known as "The Martyrs of Memphis." At long last, on October 28, a killing frost fell, and a message was sent to Memphians scattered all over the country to come home. Though yellow fever cases would continue to appear in the pages of Elmwood Cemetery's burial record as late as February 29, the epidemic itself seemed quieted. The Board of Health declared the epidemic, which caused over 20,000 deaths and financial losses of nearly $200 million, at an end. On November 27, a general citizen's meeting was called at the Greenlaw Opera House to offer thanks to those who had stayed behind to serve and die. Over the next year property tax revenues collapsed, and the city could not make payments on its municipal debts. 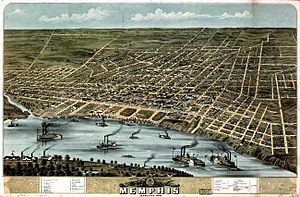 As a result of this crisis, Memphis temporarily lost its city charter and was reclassified by the state legislature as a Taxing District from 1878–1893. Despite the unfortunately losing its charter and 75% of its population, a new era of sanitation arose in Memphis. A new municipal government in 1879 helped form the first regional health organization and during the 1880s led the nation in sanitary reform and improvements. Perhaps the most significant effect the yellow fever had on Memphis was its demographic changes. Nearly all of Memphis's upper and middle classes vanished, depriving the city of its general leadership and class structure that dictated everyday life similar to other large Southern Cities like New Orleans, Charleston, and Atlanta. This put Memphis in a unique position, one in which poorer whites and blacks fundamentally made up the city and played the greatest role in reestablishing the city. 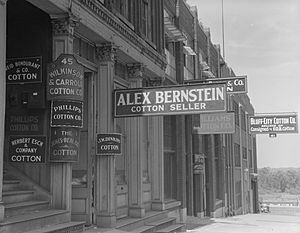 The epidemic had made Memphis a less cosmopolitan place, with an economy that serviced the cotton trade and a population drawn increasingly from poor white and black southerners. The 1890 election was strongly contested, resulting in opponents of the D. P. Hadden faction working to deprive them of votes by disenfranchising blacks. The state had enacted several laws, including the requirement of poll taxes, that served to disenfranchise many blacks. Although political party factions in the future sometimes paid poll taxes to enable blacks to vote, African Americans lost their last positions on the city council in this election and were forced out of the police force. (They did not recover the ability to exercise the franchise until after passage of civil rights legislation in the mid-1960s.) Historian L. B. Wrenn suggests the heightened political hostility of the Democratic contest and related social tensions contributed to a white mob lynching three black grocers in Memphis in 1892. Journalist Ida B. Wells of Memphis investigated the lynchings, as one of the men killed was a friend of hers. She demonstrated that these and other lynchings were more often due to economic and social competition than any criminal offenses by black men. Her findings were so controversial and aroused so much anger that she was forced to move away from the city, although she continued to investigate and publish the abuses of lynching. Businessmen were eager to increase city population after the losses of 1878–79, and supported annexation of new areas to the city; this was passed in 1890 before the census. The annexation measure was finally approved by the state legislature through a compromise achieved with real estate magnates, and the area annexed was slightly smaller than first proposed. In 1893 the city was rechartered with home rule, which restored its ability to enact taxes, although the state legislature established a cap rate. Although commission government was retained and enlarged to five commissioners, Democratic politicians regained control from the business elite. The commission form of government was believed effective in getting things done, but it reduced representation of the city's full population. Memphis is well known for its cultural contributions to the identity of the American South. Many renowned musicians grew up in and around Memphis and moved to Chicago and other areas from the Mississippi Delta, carrying their music with them to influence other cities and listeners over radio airwaves. These included such musical greats as Elvis Presley, Jerry Lee Lewis, Muddy Waters, Carl Perkins, Johnny Cash, Robert Johnson, W. C. Handy, B.B. King, Howlin' Wolf, Isaac Hayes, Booker T. Jones, Eric Gales, Al Green, Alex Chilton, Justin Timberlake, Three 6 Mafia, the Sylvers, Jay Reatard, Zach Myers, and many others. Aretha Franklin was born in Memphis. 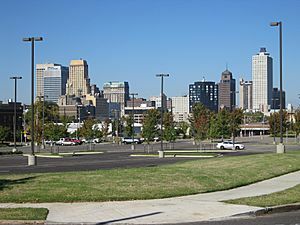 Memphis is located in the southwest corner of Tennessee at . 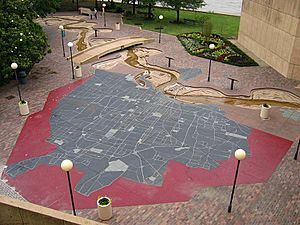 According to the United States Census Bureau, the city has a total area of 324.0 square miles (839.2 km2), of which 315.1 square miles (816.0 km2) is land and 9.0 square miles (23.2 km2), or 2.76%, is water. 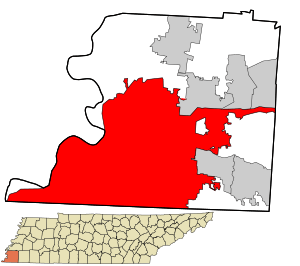 "the white population is 47.9 percent of the eight-county area's 1,316,100 residents. The non-Hispanic white population, a designation frequently used in census reports, was 46.2 percent of the total. 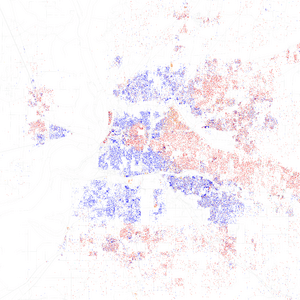 The African American percentage was 45.7. 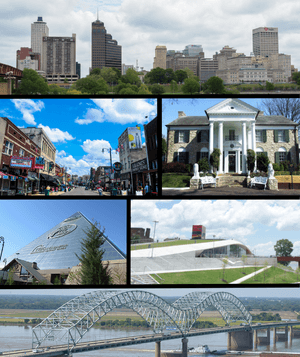 For several decades, the Memphis metro area has had the highest percentage of black population among the nation's large metropolitan areas. The area has seemed on a path to become the nation's first metro area of one million or more with a majority black population." The international headquarters of the Church of God in Christ, the second-largest Pentecostal denomination in the United States, is located in Memphis. Its Mason Temple was named after the denomination's founder, Charles Harrison Mason. This church is where Rev. Martin Luther King, Jr. gave his noted "I've Been to the Mountaintop" speech in April 1968, the night before he was assassinated at his motel. The National Civil Rights Museum, located in Memphis at the Lorraine Motel and other buildings, has an annual ceremony at Mason's Temple of Deliverance where it honors persons with Freedom Awards. Other notable and/or large churches in Memphis include Second Presbyterian Church (EPC), Hope Presbyterian Church (EPC), Evergreen Presbyterian Church (PCUSA), Colonial Park United Methodist Church, Christ United Methodist Church, Idlewild Presbyterian Church (PCUSA), the Pentecostal Church (UPCI), First Baptist Broad, Temple of Deliverance, Calvary Episcopal Church, and Annunciation Greek Orthodox Church. Memphis sponsors several film festivals: the Indie Memphis Film Festival, Outflix, and the Memphis International Film and Music Festival. The Indie Memphis Film Festival is in its 14th year and was held April 27–28, 2013. Recognized by MovieMaker Magazine as one of 25 "Coolest Film Festivals" (2009) and one of 25 "Festivals Worth the Entry Fee" (2011), Indie Memphis offers Memphis year-round independent film programming, including the Global Lens international film series, IM Student Shorts student films, and an outdoor concert film series at the historic Levitt Shell. The Outflix Film Festival, also in its 15th year, was held September 7–13, 2013. Outflix features a full week of LGBT cinema, including short films, features, and documentaries. The Memphis International Film and Music Festival is held in April; it is in its 11th year and takes place at Malco's Ridgeway Four. The South Main Arts District is an arts neighborhood in south downtown. Over the past 20 years, the area has morphed from a derelict neighborhood to a gentrified, well-lit area sponsoring "Trolley Night", when arts patrons stroll down the street to see fire spinners, DJs playing in front of clubs, specialty shops and galleries. Another developing arts district in Memphis is Broad Avenue. This east-west avenue is undergoing neighborhood revitalization from the influx of craft and visual artists taking up residence and studios in the area. 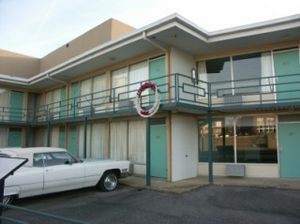 The National Civil Rights Museum is located in the former Lorraine Motel and related buildings, where Rev. Martin Luther King, Jr. was assassinated in 1968. It includes a historical overview of the American civil rights movement and interpretation of historic and current issues. 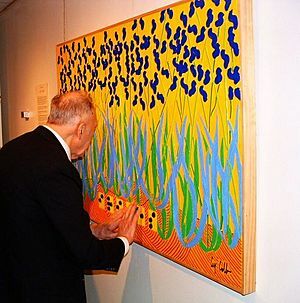 The Dixon Gallery and Gardens, founded in 1976, focuses on French and American impressionism and features works by Monet, Degas and Renoir, as well as pieces by Pierre Bonnard, Mary Cassatt, Marc Chagall, Honoré Daumier, Henri Fantin-Latour, Paul Gauguin, Henri Matisse, Berthe Morisot, Edvard Munch, Auguste Rodin and Alfred Sisley, as well as an extensive collection of works by French Impressionist artist Jean-Louis Forain. The museum also houses the Stout Collection of 18th-century German porcelain. With nearly 600 pieces of tableware and figures, it is one of the finest such collections in the United States. The Dixon campus also contains a 17-acre public garden. 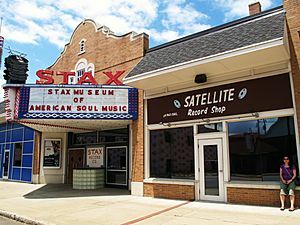 The Stax Museum is a museum located at 926 McLemore Avenue, the former location of Stax Records. The original building, a converted movie theatre where artists such as Otis Redding, Isaac Hayes, Booker T. & the M.G. 's, Sam & Dave and many others recorded throughout the '60s and '70s, was torn down. The original façade was reconstructed on the original property. It is operated by Soulsville USA, which also operates the adjacent Stax Music Academy. The original Satellite Record Shop was reconstructed beside this building. It is the only museum in the United States to be devoted entirely to soul music. Chucalissa Indian Village is a Walls Phase mound and plaza complex that was occupied, abandoned and reoccupied several times throughout its history, spanning from 1000 to 1550 AD. Civilian Conservation Corps workers discovered Native American artifacts on the site in 1938, and archaeological excavations of this Mississippian mound complex were initiated. The facility has been operated by the University of Memphis since 1962. In 1973 Chucalissa Indian Village was added to the National Register of Historic Places. In 1994, it was declared a National Historic Landmark. It is the site of the Southeast Indian Heritage Festival held annually in October. 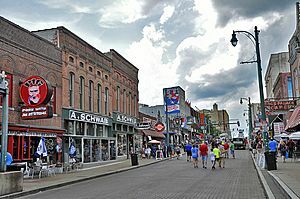 Blues fans can visit Beale Street, which used to be the center of the Black community, where a young B.B. King used to play his guitar. He occasionally appeared there at the club bearing his name, which he partially owned. Street performers play live music, and bars and clubs feature live entertainment until dawn. The Memphis Zoo, which is located in midtown Memphis, features many exhibits of mammals, birds, fish, and amphibians from all over the world. The zoo's giant panda exhibit is one of only five in North America. In 2014, USA Today's 10Best Contest voted the Memphis Zoo the #4 zoo in the nation. Sun Studio is a highly influential recording studio opened on January 3, 1950, by rock pioneer Sam Phillips at 706 Union Avenue. 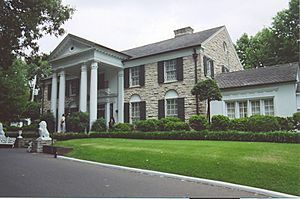 It is available for tour, which is where Elvis Presley first recorded "My Happiness" and "That's When Your Heartaches Begin". Other famous musicians who got their start at Sun include Johnny Cash, Rufus Thomas, Charlie Rich, Howlin' Wolf, Roy Orbison, Carl Perkins and Jerry Lee Lewis. It now contains a museum as well as the still-functioning and operating studio. Formerly a sports arena and concert venue, The Memphis Pyramid is now home to the largest Bass Pro Shops in the world. In addition to the retail store itself, the building contains an observation deck, restaurants, bowling alley, aquarium, and hotel. It is one of the first sights seen when entering the city from West Memphis via the Hernando DeSoto Bridge. Its unique structure plays on the city's namesake in Egypt, known for its ancient pyramids. At 321 feet (98 m), it is the sixth-largest pyramid in the world behind the Great Pyramid of Giza 456 ft (139 m), Khafre's Pyramid 446 ft (136 m), the Luxor Hotel 348 ft (106 m), the Red Pyramid 341 ft (104 m) and the Bent Pyramid 331 ft (101 m). Memphis, Tennessee Facts for Kids. Kiddle Encyclopedia.